Countryfile this Sunday 30th Septmber (6:15pm) is all about Herefordshire. 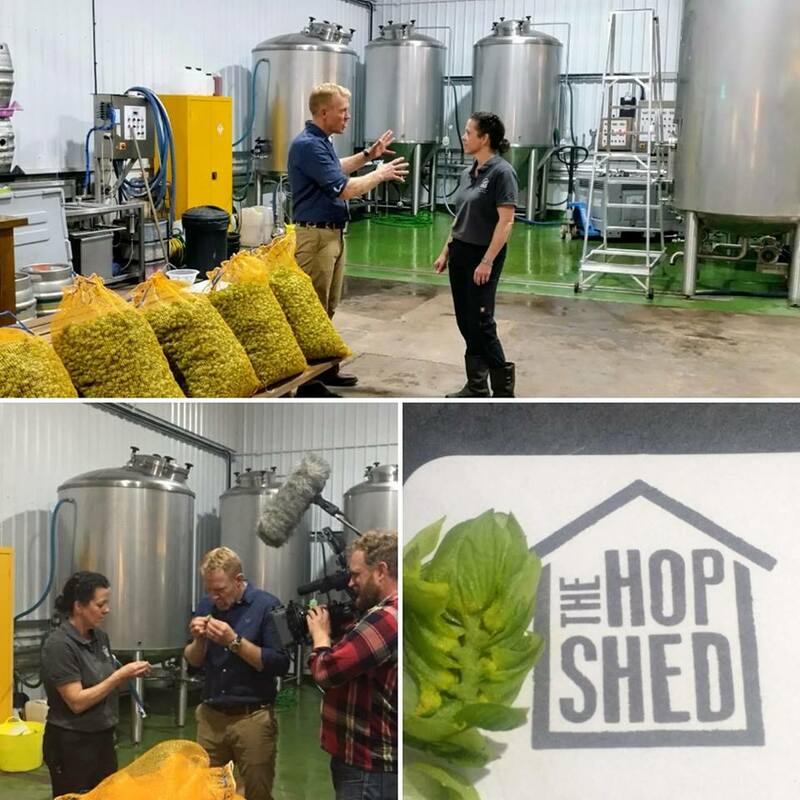 We were filmed for a feature in this programme brewing with fresh hops from here on the farm, which crosses the Herefordshire / Worcestershire border. The beer we brewed is now ready and will be being served over the next few weeks at great local pubs such as The Wyche Inn, The Cardinal’s Hat, The Nelson Suckley, The Chase Inn Colwall, The Tap House Ross on Wye, The Three Kings Hanley Swan, The Bell St John’s, The Queen’s Arms Bromyard, Ombersley Golf Club, The Green Dragon Guarlford and of course, The Hop Shed Tap Room! If it’s not on at a pub near you – ask your local landlord to contact us – we have a new batch of green hop beer that will be ready in a couple of weeks! 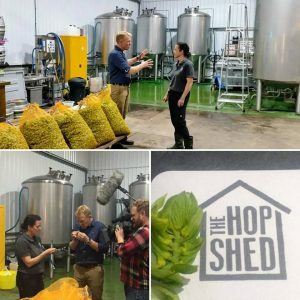 We had great fun brewing our first green hopped beer with Adam Henson and the Countryfile team. In the photo, you can see Sarah explaining the difference between green hops and the dried hops that we usually use. The nets full of freshly picked Endeavour hops are waiting to go into the kettle. Being so close to the hop yards and the hop processing shed means that our green hop beer is probably the freshest you can get!